Microsuction is an ear wax removal technique which is safe, comfortable and pain-free. It involves the use of a binocular microscope which provides a clear and magnified view of the ear canal. With such a clear view, a fine low-pressure suction device can be used to remove any ear wax obstructions safely. What are the benefits of Microsuction? Microsuction uses a binocular microscope which gives us an especially good view of both the ear canal and any ear wax obstruction. This means we have a clear view of what we are doing, making it much safer and easier to do. Unlike other ear wax removal techniques such as ear syringing or ear irrigation, you will not need to do any preparation work before you visit us. While it may help to use ear drops before the removal, it is not necessary because our equipment will be able to remove it safely. Microsuction is a dry procedure with no messy water being used or flushed into the ear. This reduces the risk of infection, and also means you can pop in for the procedure between meetings with no messy or lasting effects. Unlike ear syringing and ear irrigation, it is safe for people who have a perforated eardrum, previous infections or an ear blockage. The reason is that microsuction safely removes wax using pinpoint accuracy, rather than pushing anything into the eardrum. With microsuction, a thorough ear examination can be carried out to check for any perforations or middle ear infections, and the ear can be treated appropriately. This is much safer than with irrigation where there is no way to examine the inner ear first, potentially causing more damage with the procedure. Microsuction is not a painful procedure. The area inside the ear canal is very sensitive and the procedure is very delicate, so it is important to stay still when asked to do so. How often do I need ear microsuction? Some people come to us just when they have an ear blockage but many people choose to have microsuction on a regular basis to help keep their ears clean and in good health like you would for your teeth. It’s up to you how often you would like to come, but if you have had perforations or infections, we will be able to advise. What’s wrong with traditional ear irrigation or syringing? Syringing and ear irrigation aim to remove wax blockages by squirting water into the ear canal and behind the blockage, in the hope that the water will build up enough pressure behind the blockage to push the wax out. It’s a slightly counter-intuitive process because to get the wax out; you have to push water in, and this has many risks, including the risk of pushing the wax further into the ear canal. As the nurse cannot accurately see deep inside the canal, it is also not possible to perform an ear examination behind the blockage first. If water is squirted into an already-perforated eardrum or a middle-ear infection, there is a risk of re-perforation. Considering these risks and the safer alternative options available, performing ear syringing and irrigation is discouraged by the National Institute for Health and Care and instead, people are encouraged to seek out safer methods, like microsuction. Microsuction uses very gentle medical suction to remove ear wax with pinpoint accuracy, rather than having to push anything into the ear canal. 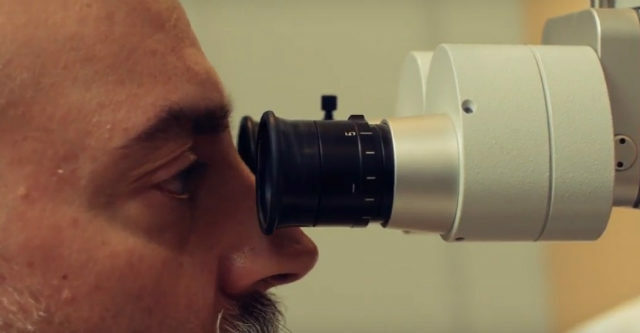 Due to the binocular microscope, practitioners have a really clear view of the ear canal and will quickly become aware of any infections or perforations. Even with an existing perforation, microsuction is a safe way to remove ear wax without the risk of pushing it further in the ear. 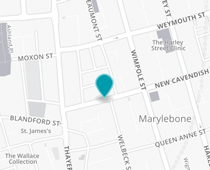 Microsuction ear wax removal and ear health checks are carried out onsite at Cubex at our New Cavendish Street premises by appointment. Highly specialised ear care and micro suction appointments that go beyond ear wax removal and includes a full outer and middle ear health check & expert ear health advice.